It might have been a bit too confusing had the Southampton Davis not been at Burnley almost two years earlier on loan but to avoid any confusion, the departed Davis (Stephen Peter) became known as Steve Davis Mark I and the new signing (Steven Michael) was, hardly surprisingly, referred to as Steve Davis Mark II. The first Davis had made his intentions clear from the end of the previous season that he would move on if he could get a club in a higher division. Supporters accepted that. He'd given us excellent service over almost four years, playing 147 league games, and there was no criticism for a player moving on to better himself. 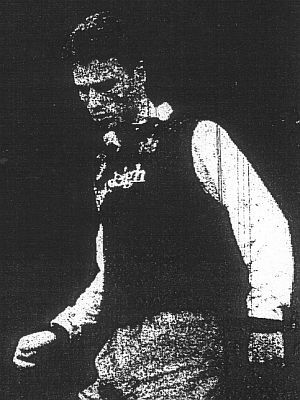 The second Steve Davis, a North East lad who had joined Southampton straight from school, had played 10 games for Burnley during his loan in the 1989/90 season and had impressed the Turf Moor crowd, so his permanent signing was immediately considered a popular one. Frank Casper was in no doubt. "I wanted him two years ago but couldn't sign him then," he said. "He is well worth the £60,000 I have paid for him. When he was at Turf Moor before he impressed everyone and he is the right age now (Davis was 22) to do a good job for us." Davis was the third summer signing, following on from Mike Conroy and Steve Harper, both of whom had impressed during the pre-season. This signing had given everyone a lift, including Casper and the team. "There is a great spirit in the camp and the lads are sure they can go one step further this season," Casper said. "They are all looking forward to the new season and everyone knows that we have made three great signings. We are very confident and full of optimism. It should be a great season." 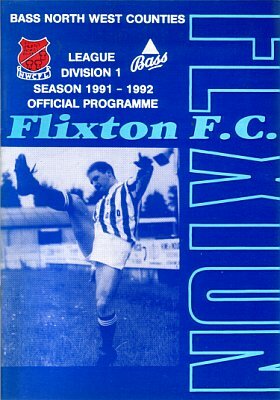 Casper had received a further boost with Roger Eli coming through a pre-season reserve game at Flixton after missing all the first team games with injury. He scored in a 3-1 win with the other two goals coming from apprentice Jamular Rahman and trialist Carl Alford who had just returned to England after playing in the French Second Division. Assistant boss Jimmy Mullen was with the reserves and said: "It was a comfortable performance and Roger looked very sharp. It was his first game of the pre-season schedule and he was very effective." And so we were all set for the season. The disappointment of the play off semi-final defeat to Torquay was now well and truly behind us and we were about to start our seventh Fourth Division season hoping that we might finally begin the climb back up the leagues. Opening day would take us to Rotherham where manager Frank Casper had started his career and played until signing for Burnley in the summer of 1967. "Although I'm from Barnsley I always look on Rotherham as my home club because they got me started," said Casper who was looking forward to making a winning start at Millmoor.